Early in July, everything in my life “felt” in order. I had a job that paid the bills that I was good at, my Master’s classes were going well, I was healthy, kids were, well, being kids, and my love life, although not exactly as I want, was at least somewhat there. Then, in the matter of no time at all, everything went to heck in a handbasket. These were not choices I made. Each incident was out of my control. I lost my job due to no available childcare for a 14-year-old with Downs Syndrome; therefore, no job. I was a passenger on a motorcycle and we were in an accident, so my shoulder was hurt just AFTER I fixed the child care issue and had planned to reapply for my job. The man I fully believed was my “one” has completely stopped talking to me, and I cannot seem to get my papers done for my Master’s classes due to having been injured. What is going on? I have worked so hard to overcome, and truly believed I had. Please help. I am typically a very intuitive person, and even the brief communication I have with spirits is quiet. I am lost. Wow, Lisa! Your life did, indeed, go to heck in a big hurry, but you’ll be relieved to know that most of it should be settled satisfactorily by the end of September. Disruption is not a signal that all your hard work was for nothing, Lisa. No matter how we wish it would, life just doesn’t stand still. You have overcome incredible odds, and in the process built mental, emotional, physical and spiritual strength, enough to weather change easily. 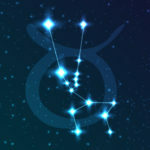 I suggest that you talk with an astrologer soon, because you have a lot of opportunities and some more changes coming up, and the more you know, the more you’ll be able to avoid pitfalls and take advantage of opportunities. You have a lot of spiritual support, a quick, agile and resilient spirit, and can act quickly and decisively once the way is clear, so you’ll do very well if you don’t resist the tides of change. And, according to your Guides, rather than ruining your life, the changes are opening doors to an even better future. Your home is filled with Angels and Spirit Guides who watch out for you and your kids, so even though you feel cut off right now, keep asking for help, and be specific. Working with Guides is a partnership, and your part is to be clear about what needs to be handled. 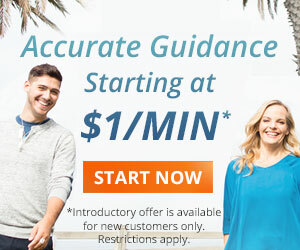 Theirs is to send you helpful people and ingenious solutions. By the way, there’s a beautiful, light-filled doorway in your Downs Syndrome child’s energy field that opens directly to the spirits that surround you and your kids, and your 14-year-old is especially attuned to angelic energy, often passing on Angel hugs and simple messages. Want to know more about your life? Get a psychic reading to find out. 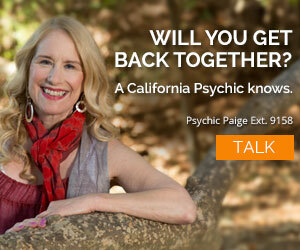 Call 1.800.573.4830 or choose a psychic now. Please could you explain these feelings I’m getting. I fed an elephant at a zoo once, and after he took the food his trunk just hovered over my hand and as I looked up his eyes boerd right into mine, for quite a few seconds. it felt very powerful. Ever since then I get this huge overwhelming feeling to connect with them. Im going over to Bali to spend time being with them. When I see pictures or anything on telly about them I get this rush of emotion and start crying, it just happens and I cant seem to take hold of it. What does this mean, if anything. Could it be my guide or just me being emotional. Do You Need a Life Strategist?